REWARD YOUR CUSTOMERS FOR DOING BUSINESS WITH YOU! 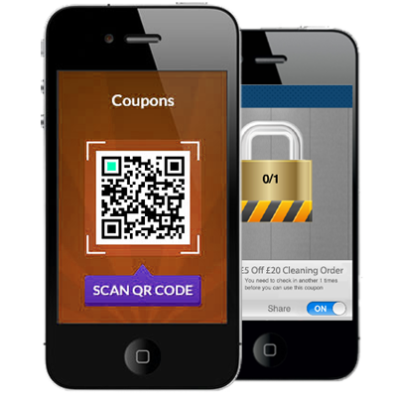 You can also distribute QR codes to be redeemed by the app. Do you remember those paper cards you get stamped at coffee shops? Well it is much easy to run these schemes now using your own mobile app. You can also time-delimit your offers, and introduce seasonal offers this way.